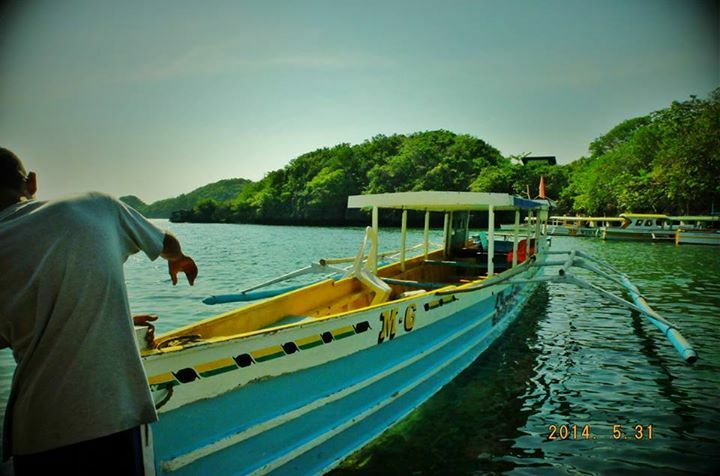 Posted: April 29, 2015 in Picdump, Wanderlust, Where Have I Been? 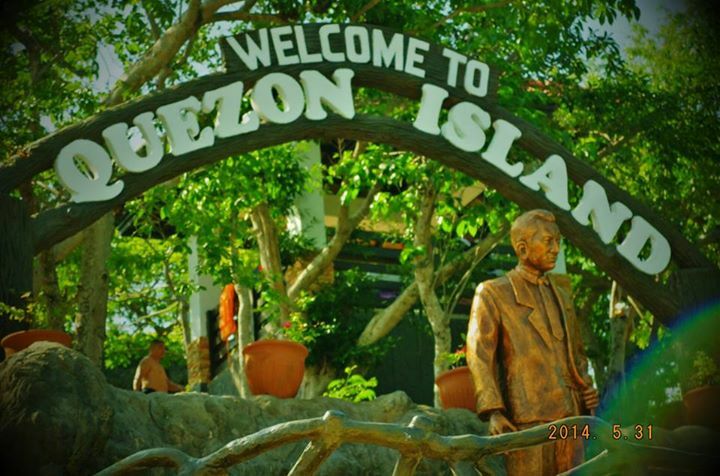 After our mini trek to the top of Governor’s Island, we made our way to our next destination – Quezon Island, which was named after our late President Manuel Quezon. 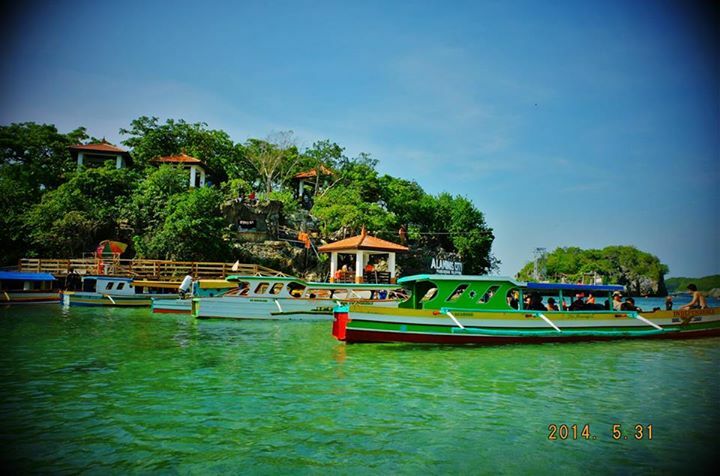 Out of all the other islands, Quezon Island seems to be the busiest. 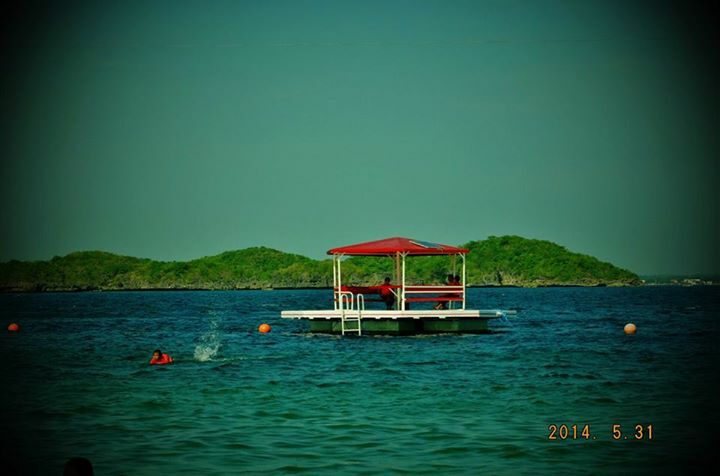 There are large concrete huts all over the island dedicated to all sorts of recreational activities. When we got there, all tables were already occupied mostly by families and we did not even bother fighting for one because we were more interested in swimming rather than just lazing around. 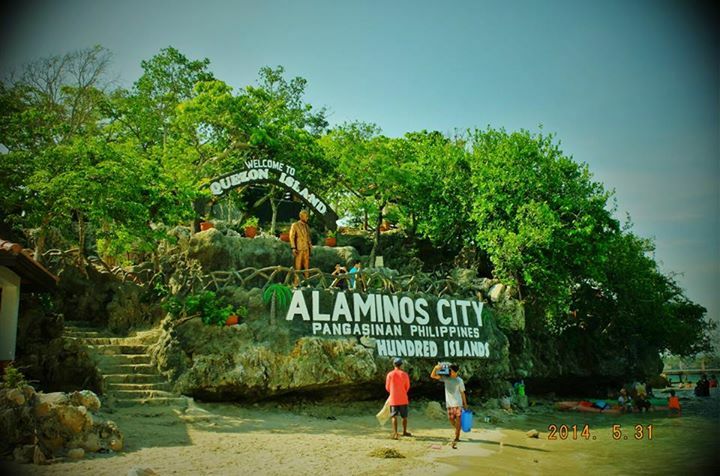 We plopped our things under the rock with the Alaminos City sign, and immediately got into the water. Midway, we realized that we underestimated the distance of the gazebo from the shore. Not wanting to let our efforts go to waste, we pushed through anyway and made it after quite some time (the strong winds didn’t help much either). 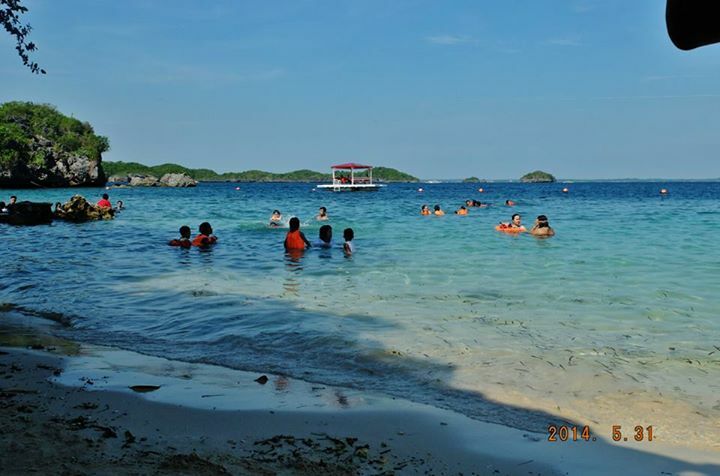 It was like a private party in the middle of the sea because not many people dared to swim that far off. 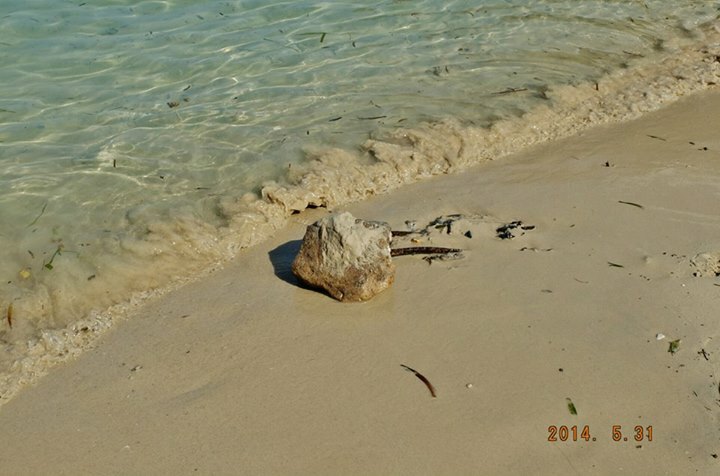 When we got back to shore, our boatmen led us to where the giant clams were, but no photos because I didn’t have an underwater camera with me that time. Nonetheless, we thoroughly enjoyed the view of the Giant Clams and corals inhabited by a variety of fishes. After that long swim, we were quite worn out so we spent some time rolling around the fine white sand, people-watching while trying to get re-energized. Posted: April 27, 2015 in Picdump, Restaurant Review, Tummy Fillers, Where Have I Been? 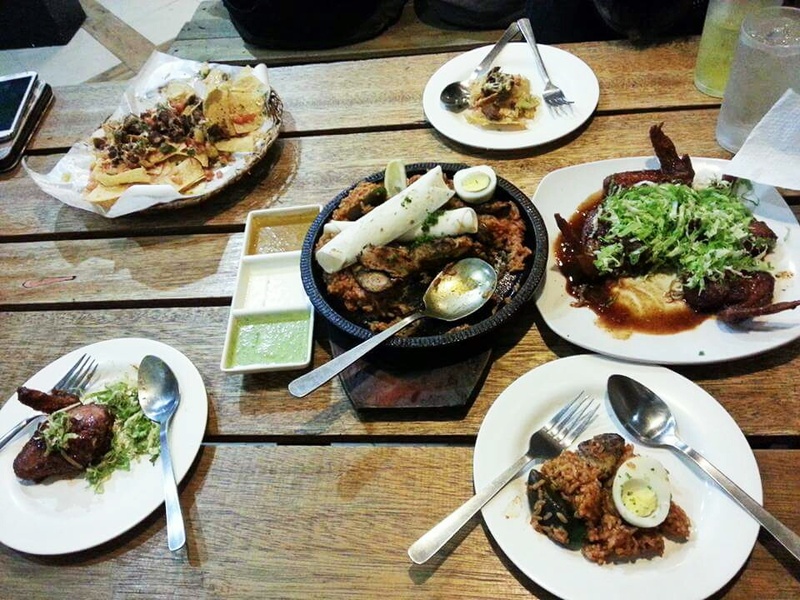 It was one of those nights where we were not craving for anything specific, we just knew we were hungry. Very hungry. Tokyo Bubble Tea sounded like a good idea because of the relatively wide variety in their menu items. 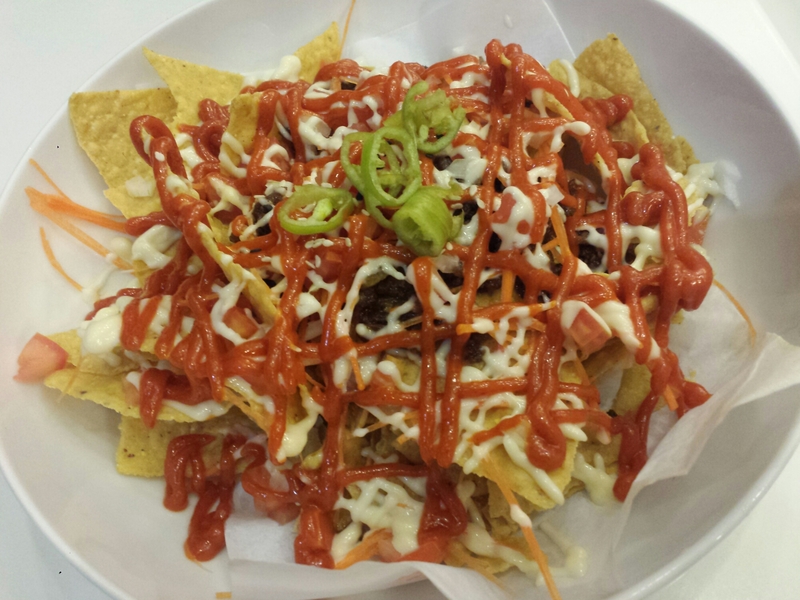 Bulgogi-style nachos topped with spicy Korean mayonnaise, onions, tomatoes and carrot strips. We attacked this as soon as it reached our table. We were really hungry, don’t judge us! LOL. 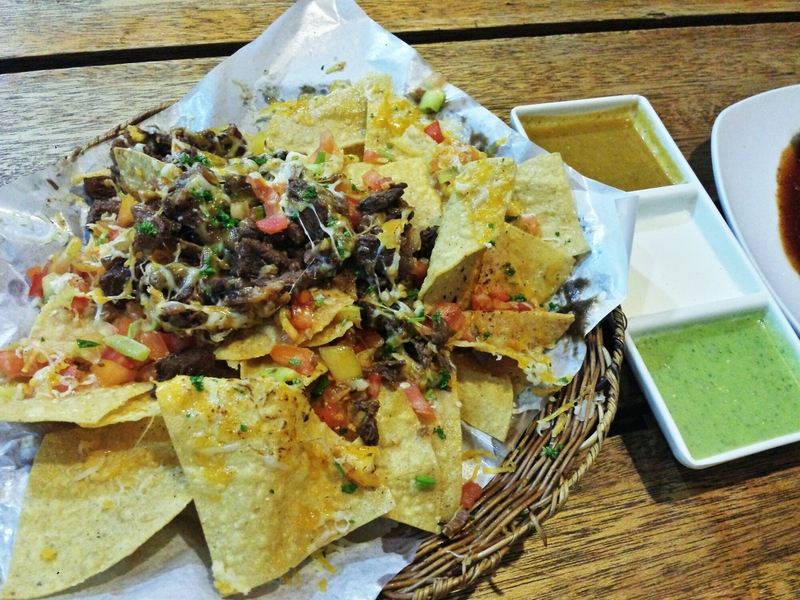 The Bulgogi Nachos were OK. The nacho chips were warm and crispy and the toppings was quite generous. It was OK but nothing worth writing home about. Tuna wrapped in crispy rice with pickled jalapeño savoring that hot and spicy goodness. This was my least favorite dish of the night. Don’t take me wrong, I do like my jalapeño. 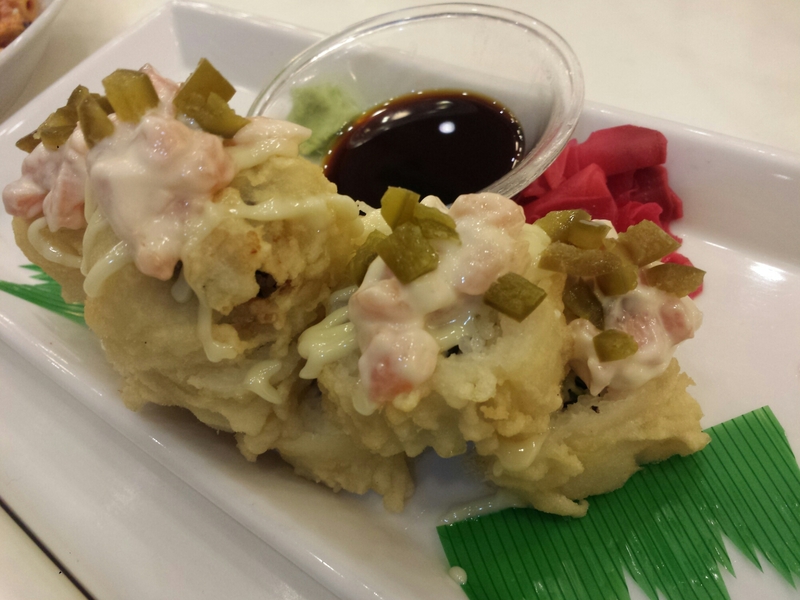 Without the tuna-mayo topping, the roll lacked flavor especially after that spicy Bulgogi Nacho. 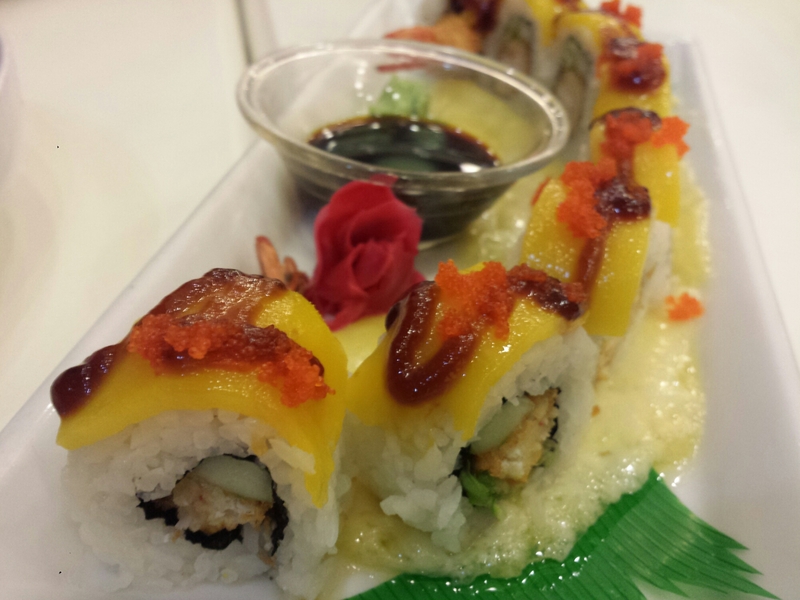 Panko breaded prawn rolled in sushi rice topped with mango on melted mozzarella cheese. This was the better roll of the night. And since I love cheese so much, the melted mozzarella was my favorite part. 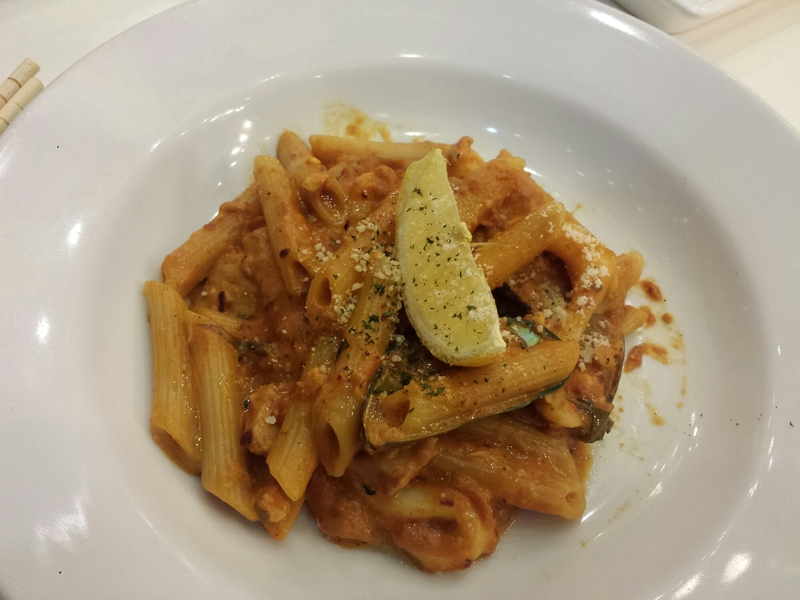 Penne pasta with squid, shrimp, clam, and mussel on a creamy pomodoro sauce. And now we come to my favorite dish of the night. What you see below is half of one serving because we asked the kitchen staff to split the dish into two. Aside from the big serving size, I also loved the perfect combination of creamy-tangy-spicy sauce. I squeezed in a bit of lemon juice for that extra zing and it was perfect. I would definitely order this again! I felt like we made the wrong call on the rolls but the night was saved by the pasta alone. I think this is now my favorite dish from Tokyo Bubble Tea. How about you, have you tried the food from Tokyo Bubble Tea? What is your favorite dish? 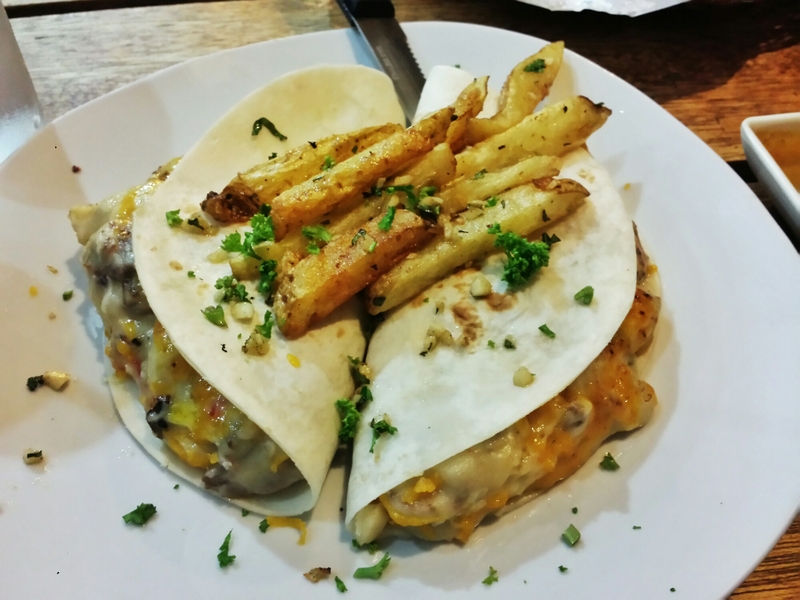 Since I first tried out the food from Silantro, I have been wanting to go back and sample some of the other dishes I was not able to try before. It’s a good thing my friend (RC) was hell-bent on giving their food a try, so someone was always urging me to go back for another visit. After more than a month of scheduling and failing to push through, it finally happened last weekend. My food trip buddies for the night! 🙂 To mix things up a bit, I asked RC for his review of Silantro’s food. Maiba naman, hehe. RC: I like it. It has a perfect crunch and the beef was a bit sweet which complimented the tomatoes. The melted cheese added flavor to it. I am not familiar with the herbs and spices used but it made the taste more exciting. 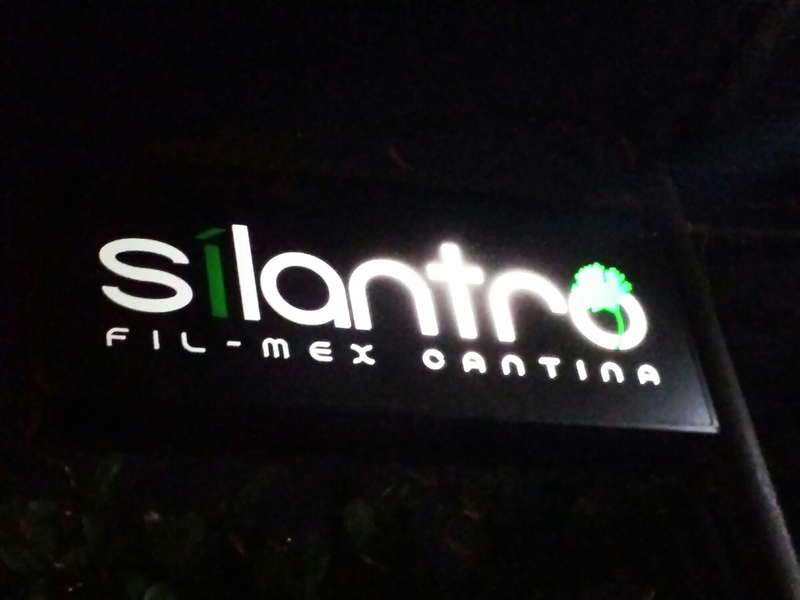 Angel: No one should be allowed to leave Silantro without ordering their nachos. Unlike other places I’ve tried, I don’t feel like they scrimped on the toppings. Perfect chips-to-toppings ratio. Best enjoyed with their dips (chili, aioli and cucumber sauce). RC: I’m a bit disappointed with it. It’s so salty that I can barely get the fiery taste I was expecting. Thank God for the veggies, the saltiness was balanced out a bit. Angel: I have to agree that the chicken wings were too salty. But unlike RC, I felt like the shredded cabbage didn’t help much. 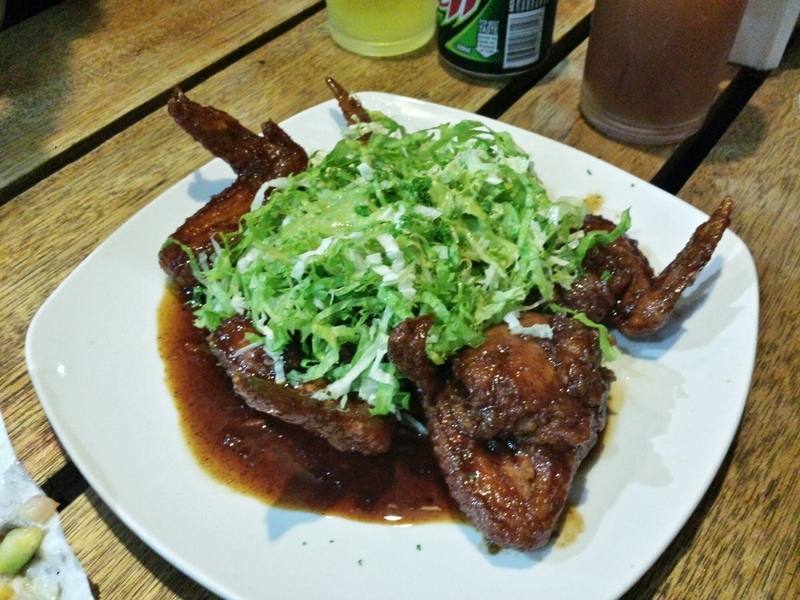 I enjoyed my chicken wing with lots of aioli and chili sauce. RC: It was delicious even if I could not explain the taste. But the chicken was overcooked and it came out a bit dry. Angel: This was surprisingly my favorite dish of the night. 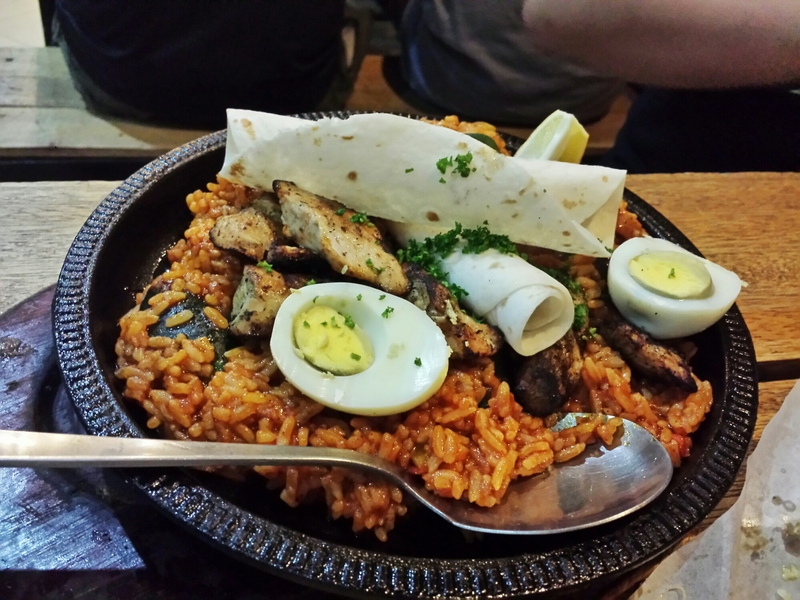 I am not a fan of Mexican rice but I loved Silantro’s paella. I have to agree that the grilled chicken was overcooked but it still tasted good. I especially loved the mussels squirted with a bit of lemon. Yummmmmy! RC: I like how tender the wrapper is, it compliments the cheesy flavor. It’s my favorite among the four. But I wonder, kasama ba talaga ang fries sa quesadilla? Hehe. Angel: This is not like the usual (flat) quesadilla I am used to. This looks more like a soft-shelled taco. That being said, I would have loved the tortilla toasted to a crunch. A filling that is so ooey-gooey-cheesy-messy sandwiched inside a soft tortilla – all that softness and mush made me crave for another texture. But I loved the fries, which is also unconventional to be served with quesadilla. I loved how crunchy it was in the outside but soft and well cooked in the inside. Yum! RC: Value for money, ambiance and taste – pop na pop! Hope they have wider space para di masyado pumila ng matagal. Angel: Overall it was a very good meal. Price is cheap, serving size is quite generous and the food was mostly good. Same with RC, I hope they expand or at least put up more tables as we had to wait for over an hour before we got seated. Would still go back despite the possible long wait, though. 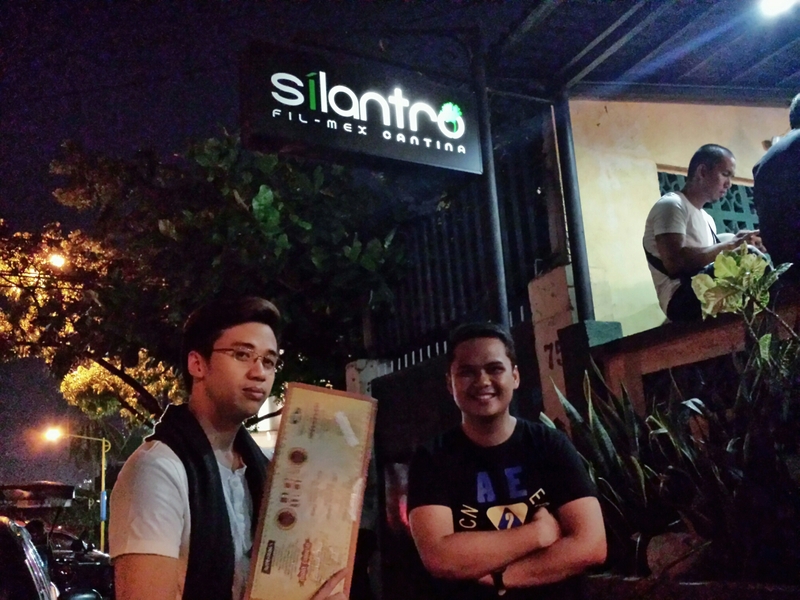 Silantro is located at 75 East Capitol Drive, Kapitolyo Pasig City. They are open daily. Relik Tapas Bar and Lounge is just across my office building but I have only been there twice. The first time was during an office party where I could not remember any of the dish I got to taste because BEER. LOTS OF BEER. Hehe. The second time was another office meeting which we conveniently held over lunch. This time, I managed to take photos of what I had. On our visit, they had an ongoing lunch promo. You could choose from a selection of meals and it is served with a free glass of iced tea for only Php199. 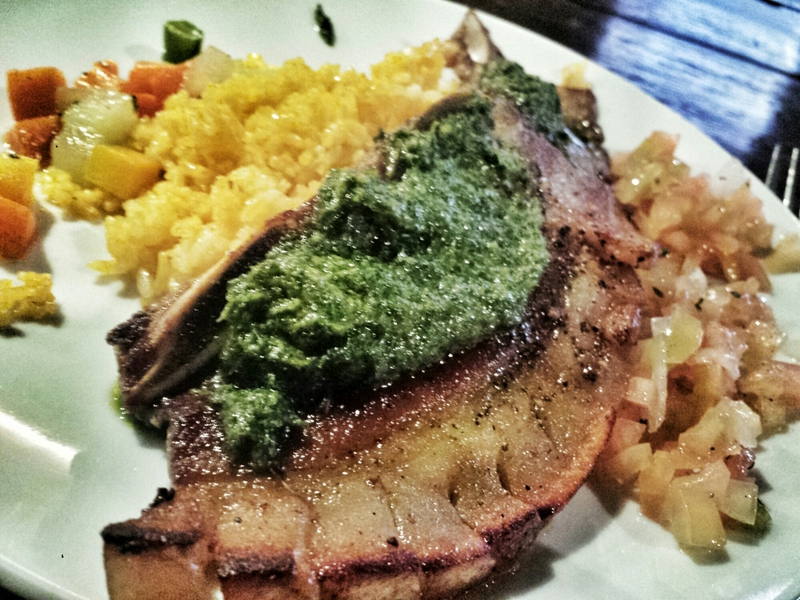 I chose the grilled pork belly served with salsa verde. I demolished it! LOL. The salsa gave a refreshing contrast to the greasy pork belly. Yums! In addition to our plated meals, we ordered Chorizig for sharing. 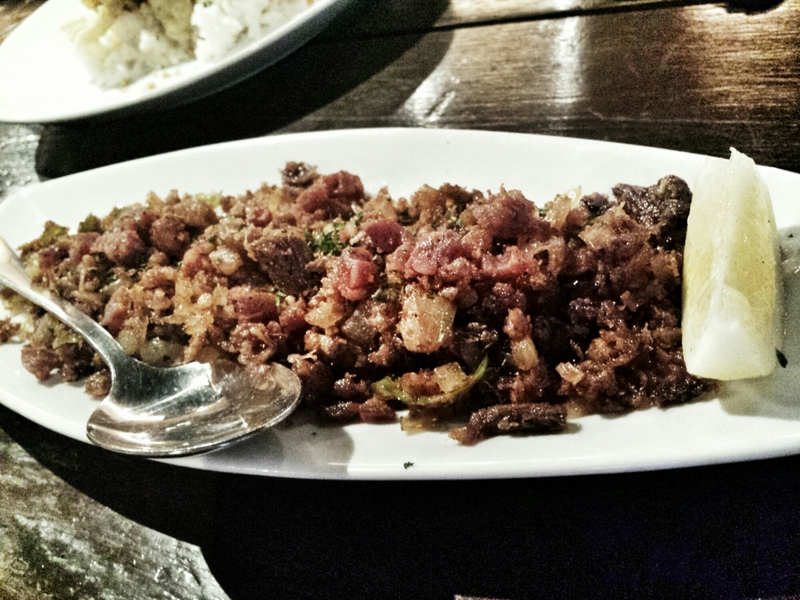 I just love how the chorizo bits gave an added crisp to the traditional sisig. Squeeze in a bit of lemon for a little zing and you’re set. For dessert, we got Churros with Caramel dip. 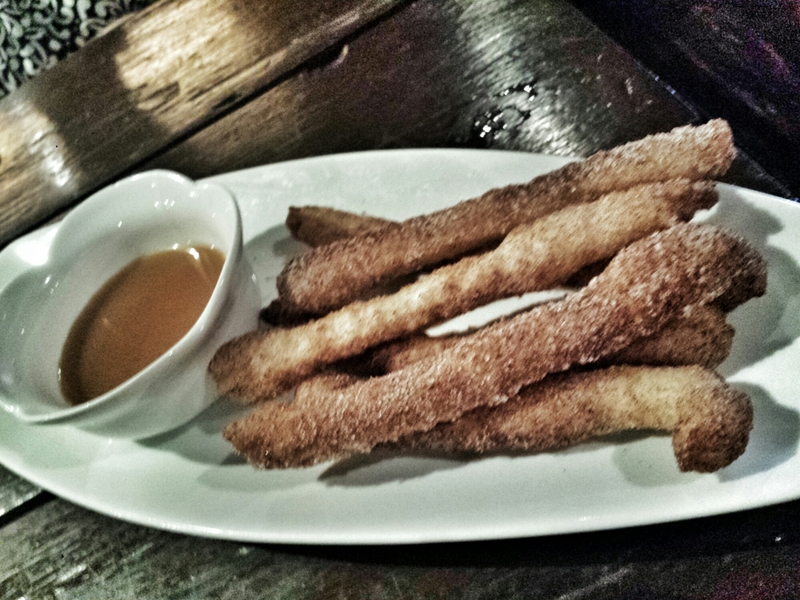 The fried churros sticks were lightly dusted with cinnamon. The caramel was a bit too sweet for my taste so I only needed a little amount for my churros stick. I wish we could have ordered additional churros just so the caramel dip won’t go to waste. Honestly, the food is good. Which makes me wonder why I don’t visit the place more often. For some reason, it just does not appeal to me. Maybe if I am looking for a quiet place to down a bottle or two while munching on tapas, I would give them another try. I don’t really cook fish that much but around a month ago, an office friend shared her blood type diet to me. It entailed eating a few servings of fish every week and salmon is one of the fish varieties allowed for my blood type. 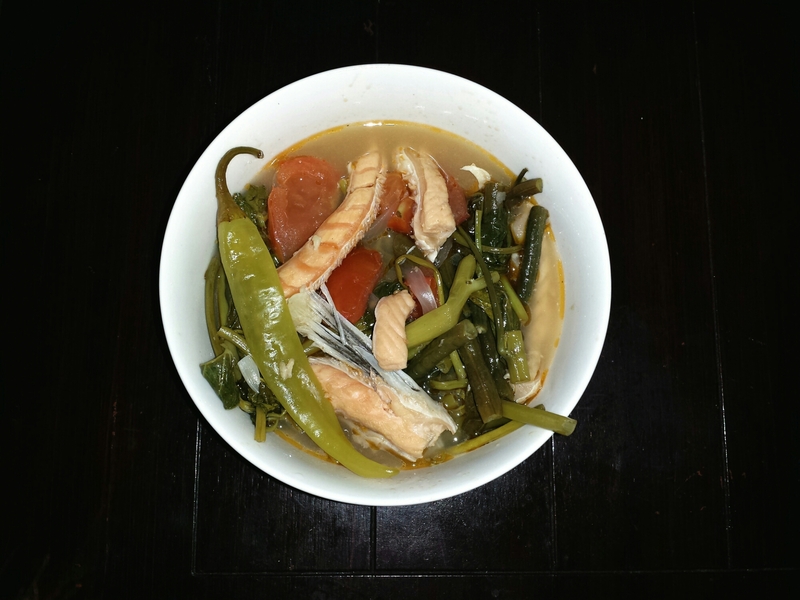 This led me to experimenting in the kitchen and I was surprised that it actually turned out good. Well, at least good enough for my first try. Heat cooking oil in a saucepan and sauté sliced onion. When onion turns translucent, stir in the sliced tomatoes. When the flesh of the tomato begins to separate from the skin, add patis and water. When the water boils, add the salmon belly strips and simmer for around 5 minutes. Add the sitaw and green chili peppers. After around 2-3 minutes, put in the kang kong. Squeeze in the calamansi juice and adjust the taste to your liking. When the kang kong leaves start to wilt, turn off heat.